Venera 1 startete am 12. Februar 1961 und verließ die Erdumlaufbahn. Allerdings brach der Kontakt zu der Sonde bereits am 19. Februar 1961 in 2 Millionen Kilometern Entfernung zur Erde ab. Die stumme Sonde flog am 20. Mai 1961 in 100.000 km Entfernung an der Venus vorbei, womit sie das erste vom Menschen erzeugte Objekt war, das in die Nähe der Venus kam. Die Sonde wog 643,5 kg. Venera 1 (Automatic Interplanetary Station) was the first spacecraft to fly by Venus. The probe consisted of a cylindrical body topped by a dome, totaling 2.035 meters in height, 1.050 meters in diameter, with a fueled mass of 643.5 kg. Two solar panels, with a total area of 2 square meters, extended radially from the cylinder. A large (over 2 meter diameter) high-gain net antenna was planned to transmit signals from Venus at 8 cm and 32 cm wavelengths. This antenna was attached to the cylinder. A 2.4 meter long omni-directional antenna arm was designed for 1.6 m wavelength transmissions, and a T-shaped antenna was used to transmit signals to Earth at 922.8 MHz at 1 bit/sec. Uplink commands were sent ot the spacecraft at 770 MHz at 1.6 bit/sec. The probe was equipped with scientific instruments including a magnetometer attached to the end of a 2 meter boom, ion traps, micrometeorite detectors, and cosmic radiation counters. The dome contained a sphere pressurized at 1.2 atm., which carried a Soviet pennant and was designed to float on the putative Venus oceans after the intended Venus impact. Venera 1 had an on-board mid-course correction engine (although this was not labelled in diagrams of the spacecraft). Temperature control, nominally 30 C, was achieved with thermal shutters. Attitude control was achieved through the use of Sun and star sensors, gyroscopes, and nitrogen gas jets. Venera 1 was launched on 12 February 1961 along with an Earth orbiting launch platform (Tyazheliy Sputnik 5 (61-003C)) with a SL-6/A-2-e launcher. 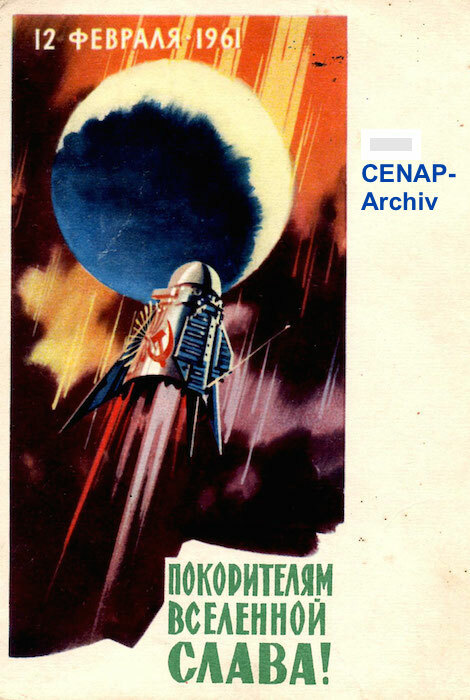 From a 229 x 282 km, 65.7 degree inclination orbit, the Venera 1 automatic interplanetary station was launched from the platform towards Venus with the fourth stage Zond rocket. Two communications sessions were achieved in the days right after launch, one on 12 February at a distance of 126,300 km, and one on 13 February at 488,900 km. The station was scheduled to transmit nominally every 5 days. On 17 February, a communication session took place from 1.89 million km, showing normal operations with temperature of 29 C and pressure of 900 mm inside the dome. The scientific instruments also returned data. On 22 February a command session was held at 3.2 million km, according to the OKB-1 Design Bureau the commands were acknowledged, but this has also been reported as a failure and the last successful communications may have been on 17 February. On 27 February "fadeouts" were reported, there is no record of successful communication. On 4 March, at a distance of 7.5 million km, communications failed, and no further contact was made with Venera 1. 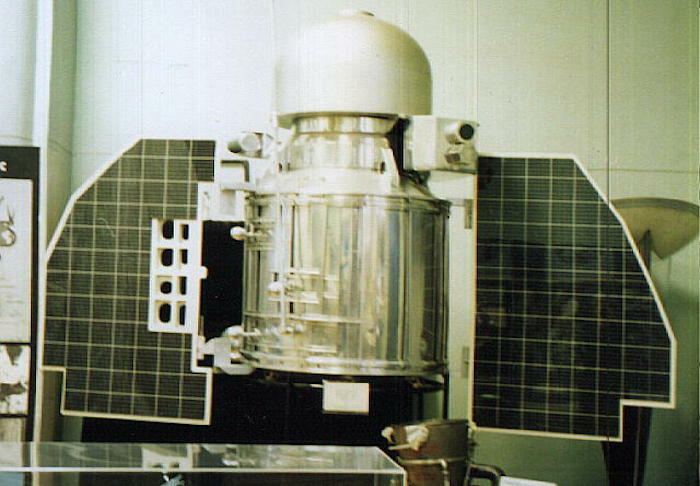 The mid-course correction motors could not be fired, and on May 19 and 20, 1961, Venera 1 passed within 100,000 km of Venus and entered a heliocentric orbit.